Elfsight Pinterest widget helps displaying your profile, and any pins and boards from Pinterest on your site. 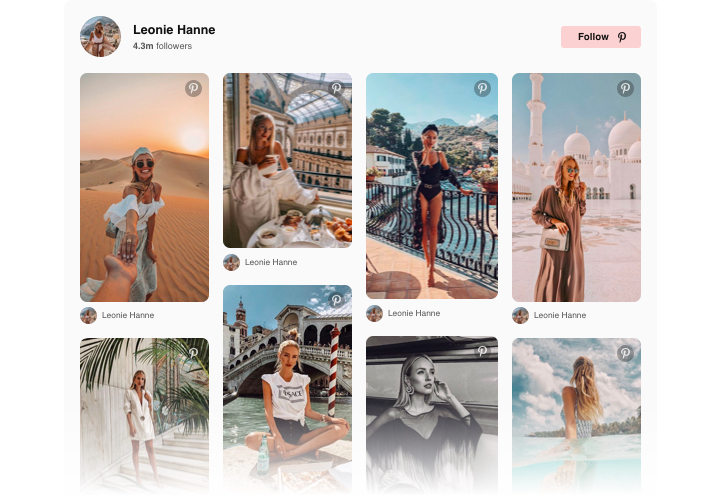 Using our plugin, you can not only introduce your Pinterest account, but also sort pins and boards to have collections of photos for your website. Exhibit your offers, motivate your customers to discover new inspiration or just visualize your website. 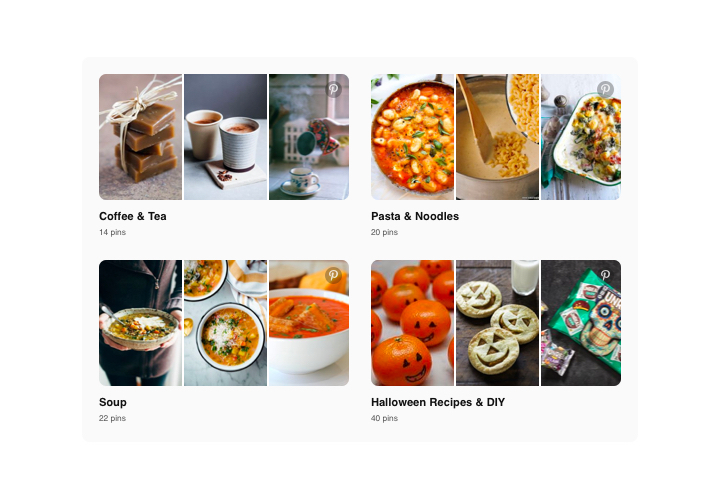 A flexible Pinterest feed will help you increase the coverage of your visual materials, raise website engagement level and grow more subscribers in Pinterest. 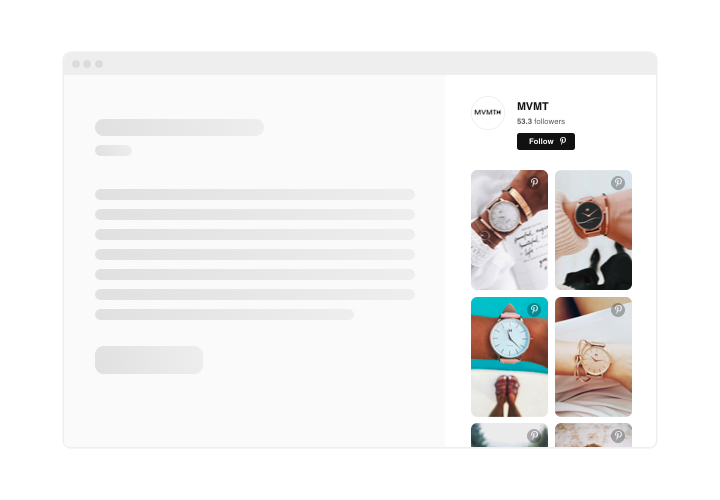 Add to your website images from social media immediately and conveniently. Thoroughly selected photos attract maximum users’ attention and keep clients engaged. 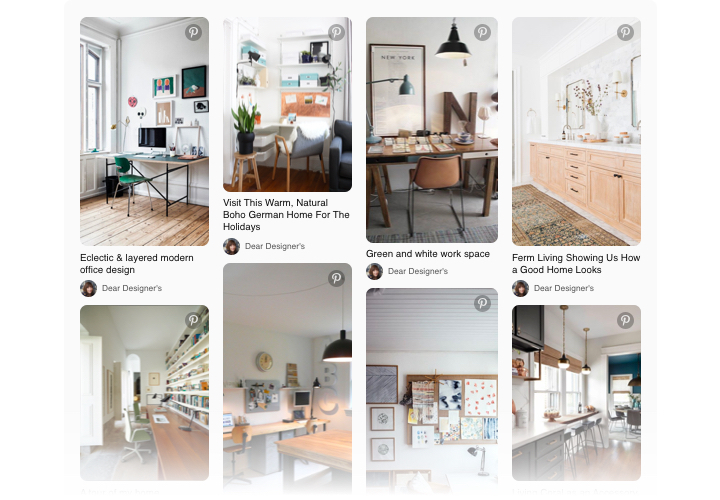 Widen social spreading of your Pinterest content. Provide an opportunity to users who are not on Pinterest to discover your rich content, demonstrating it on the site. Level up the of sales with attractive visuals. 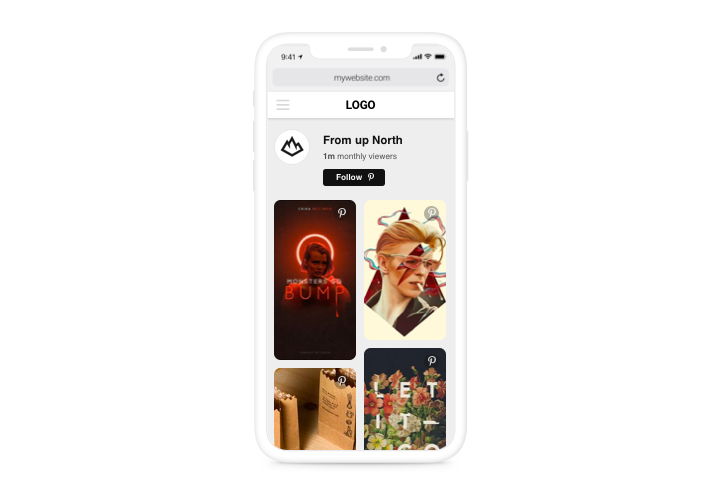 Pick the most attractive images of your products or sevices; demonstrate the newest trends and inspirational pictures to make people want to buy. A simple tutorial on generating icons for a site without knowledge in development. Total time of manual executing is about 70 seconds. Using our free demo, create a plugin with desired layout and settings. 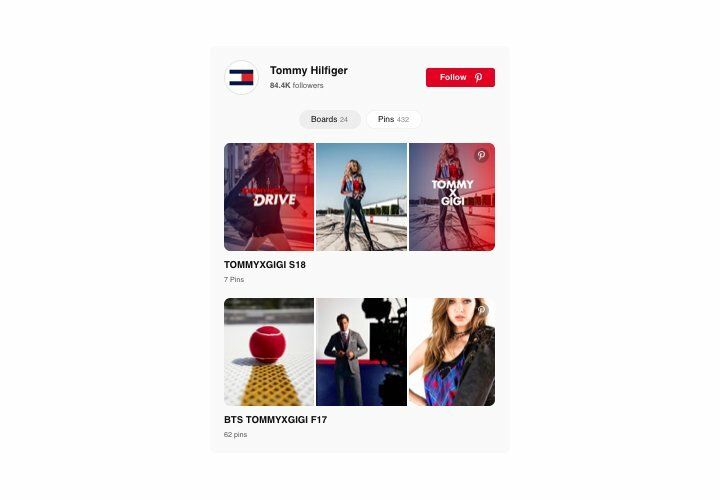 After widget customization, obtain a code for Pinterest Feed from the appeared window on Elfsight Apps. Add the plugin to the required place of the page and apply the results. Go to your site, to check your work. Have stumbled on some difficulties while carrying out the instruction? Send an enquiry to Elfsight support center. Try to Elementor Pinterest Feed right now!